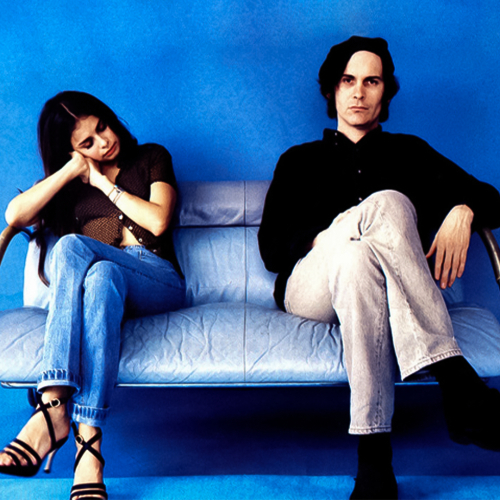 Mazzy Star is an alternative / dream pop band founded in Los Angeles, CA, United States. They formed in 1989 from the group Opal, a collaboration of guitarist David Roback and bassist Kendra Smith. Roback's friend Hope Sandoval became the group's vocalist when Smith left the band. Mazzy Star is probably most famous for their song "Fade Into You", which brought the band some success in the mid-1990s and was the group's biggest mainstream hit, earning extensive exposure on MTV, VH1, and radio airplay. Roback and Sandoval are the creative center of the band, with Sandoval as lyricist and Roback as composer of the majority of the band's material. In October 2011, Hope Sandoval's website confirmed she and David Roback would release their first new material in fifteen years. A single called "Common Burn" - backed with B-side "Lay Myself Down" - was released digitally on October 31, 2011. The band's fourth studio album, "Seasons of Your Day", was released on September 24, 2013.